Kernow Fires are suppliers of the Stuv 21/105 in Cornwall. The Stuv 21/105 is an inset stove with a retractable lifting door, which allows it to be operated as either an open sided fire or an efficient and safe stove. This stove has a 7-19kW output. Available is a number of sizes, ranging from 7-21kw and with the option to duct hot air into other rooms, the Stuv 21 range has a stove to suit any home. The Stuv 21 can be supplied without frames or decorative accessories, giving you full use of your creativity to ensure you have a finished stove which complements your room and individual style. 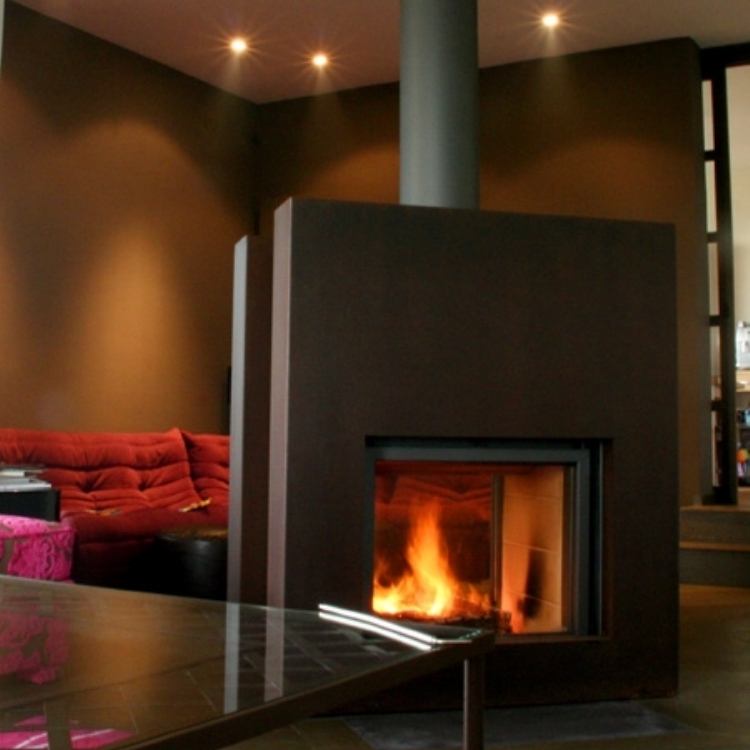 There are many optional claddings available for all Stuv stoves. The current Stuv 21-105 already meets the new emission regulations being introduced in 2022.